With a shrinking book market and a growing corporate emphasis on profits, it has become harder than ever to break into the big leagues of book publishing. These days, the "big leagues" has dwindled, too, to the Big Five publishers. They are Hachette Book Group, HarperCollins, Macmillan, Penguin Random House, and Simon & Schuster. That said, publishers need authors, and the notoriously passionate people who work in book publishing still get excited about great writers, especially those with proven sales or at least strong sales potential. Here's what you'll need to get in the door. Your platform might be an established history of literary publications and prizes or a popular blog. It might even be a web series with a strong audience or a Twitter feed with 100,000 followers. In any case, a publisher will look to you to help bring an audience to your work. It's a rare author these days who stumbles upon a publishing contract armed with nothing but a great manuscript. Even if the book is still just a gleam in your eye, you can start building an author platform. If you don't have a hit TV show, a viral web series, or 100,000 Twitter followers, you'll need to deliver the goods up front. That is, you'll need a great manuscript, if you're a fiction writer, or a great book proposal, if you're writing non-fiction. Either way, you need to present yourself and your work in the most professional light possible. Literary agents are the gatekeepers for book editors. They pre-screen the gazillions of manuscripts and book proposals that are produced every year, winnowing them down to the few most likely to succeed, and pitching them directly to publishers. A credentialed literary agent can be a powerful advocate for your book. These days, there are opportunities to directly catch the attention of print editors. The digital-first imprints of major publishers are prime examples. 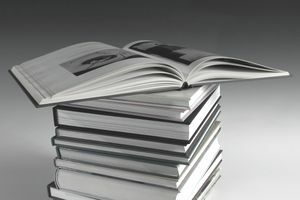 But most of the time an agent is essential to getting a contract with a major publisher. If you're published by one of the Big Five, they are making an investment in you, the author, and your intellectual property. From editorial to production to sales and marketing and publicity, the publishers are staffed up and ready to take your book from manuscript to the marketplace. These resources cost them money. There are likely to be some creative compromises along the way. Moreover, all of that support means you're going to see less of the bottom line from your book sales. Traditional book publishing contracts favor the house. To some extent, you can insulate yourself from being taken advantage of by properly negotiating your book contract. If all of the above sounds like too high a bar, you should know that small trade presses generally have similar parameters but operate on a more modest scale and might be a better fit for some authors. You also might consider self-publishing your book. If you have that effective platform already, you have in place the means to promote and market your own book. Finally, a hybrid publisher is an option. If you have a business to promote or a modest marketing platform you want to exploit with a book, that might be the way to go. It requires the writer to subsidize publication costs but provides some services such as marketing and distribution.